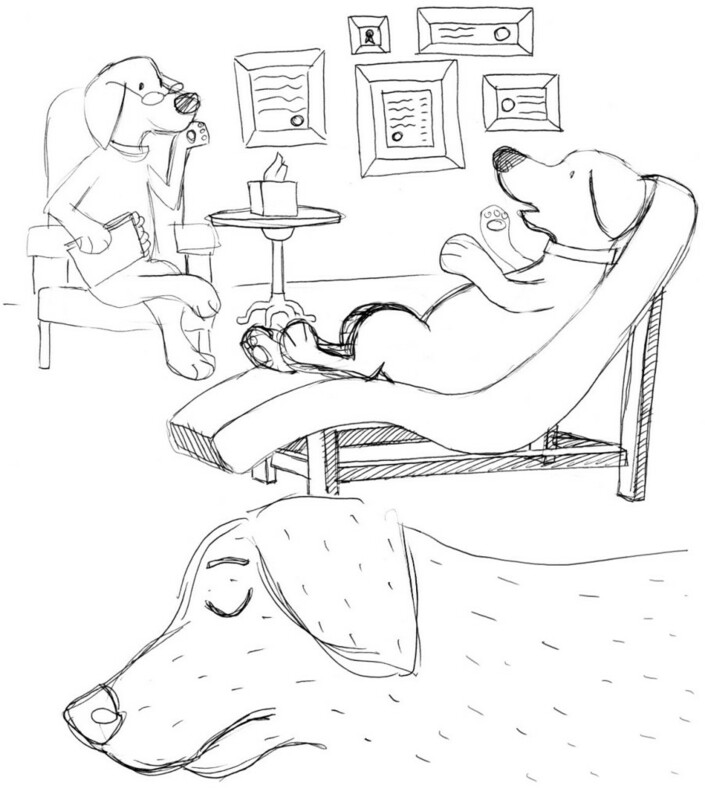 Kelev dreaming about being psychoanalyzed by a neighborhood dog was such an unusual scenario that I decided to illustrate the dream as if it were a silent New Yorker cartoon. 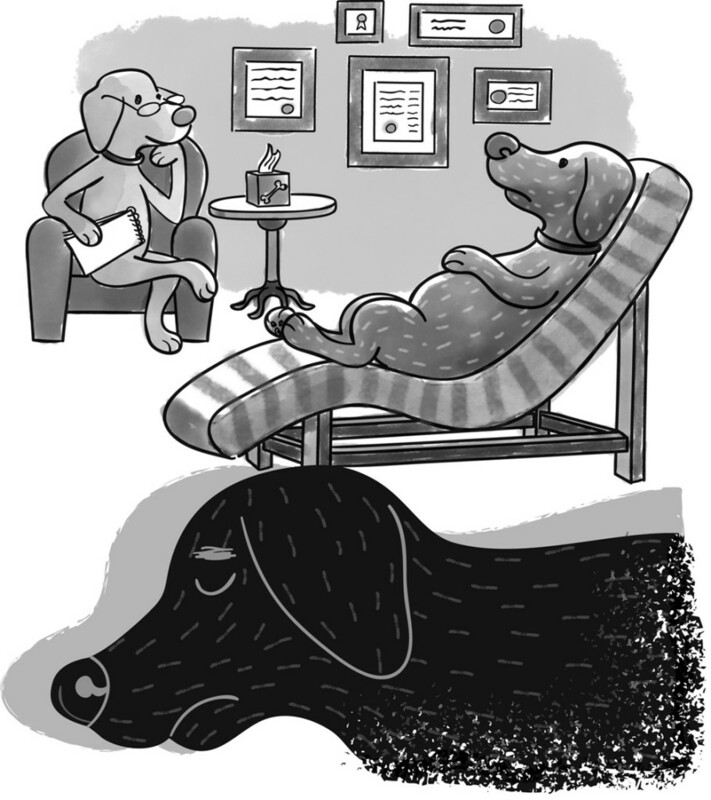 Kelev’s Journey is a book about a dog digging up his Jewish roots, and his exploits among the neighborhood dogs, cats and other animals. Available on Amazon.